Don't Forget: November 1st is the Early Decision/Early Action application deadline at many selective colleges and universities. October and November provide your next-to-last chance to take the SAT I, SAT II, and/or the ACT in time for scores to be considered in 2015 admissions. Register now for the SAT Reasoning Test or the ACT if you haven't already taken a test or if you're unhappy with your previous score. Visit our SAT and ACT Test Preparation page for more information. It is now feasible for most high school students to take either the SAT or the ACT. Based upon your unique profile, you may be better off taking one test over the other – so don't just arbitrarily choose to take the test that your peers take. We've worked with applicants who were admitted to higher-tier schools precisely because they proactively determined which test better suited their learning style. Register for the SAT IIs if you need to take subject tests. 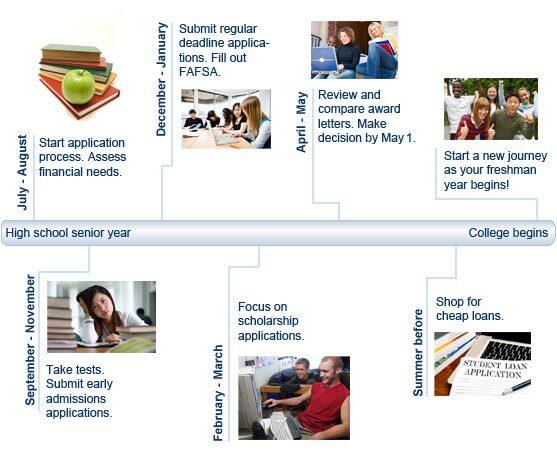 Fall is the time for juniors to start thinking seriously about school selection. Seniors should have already finalized their school choices. Aim for a list of 8 to 12 schools that you would be happy attending. Include a mix of reach schools, 'good matches,' and safety schools. 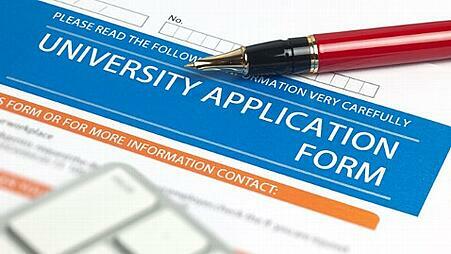 But remember – apply only to as many schools as you can submit well-prepared applications for. You'll get better results by applying to 6 schools with applications that reflect 100 percent of your best effort than you will by applying to 12 schools with applications that each reflect 50 percent of your best effort. If you visit campuses in the fall, try to avoid hectic periods like mid-terms and finals. You'll get a better idea of campus life if you time your visit for a quieter period. If there's a college or university you're especially interested in, find out whether a student ambassador or other school representative might be visiting your area over the holidays. Select coursework that will challenge and stimulate you, but not overwhelm you. Admissions committees look for applicants who stretched themselves in high school. You'll be a stronger college applicant if you take challenging classes. This will be even more important to your admissions outcomes if your high school is one of the many that no longer name valedictorians or report class standing. "Community service should clearly come from the heart and not appear to have been motivated just by a desire to 'add another bullet point to the resume.'" – Admissions Consultant Sheri Mural. Sheri is former Associate Director of Admission for Columbia University. Enjoy extracurricular activities that appeal to your interests – but don't overdo it. Admissions committees can sniff out applicants who only became involved in the community in order to enhance their college candidacies. Selective colleges will be more impressed with evidence of a substantive commitment to one or two activities than by a long list of superficial memberships. Extracurricular activities can be a great way to show there's more to you than simply good grades and test scores. With the proper strategizing, your after-school activities could produce the "wow" factors you need to be successful at the very competitive schools where the vast majority of applicants clear the high academic qualifications hurdles. If you want to play sports in college, sign up for appropriate NCAA-approved sports teams this fall. If you're applying to college this year, you should begin formulating your story themes and identifying your "wow" factors right away. Good ideas and deep introspections cannot be rushed! The college admissions committees will be taking a hard, critical look at your profile. You must do the same thing first. Only by understanding your candidacy from their perspective can you best mitigate your weaknesses, highlight your strengths, frame your fit, and employ the "wow" factors that will differentiate yourself from the many other highly qualified applicants in your demographic. Your weaknesses. Sometimes it is best not to bring attention to a weakness. Other times, it must be mitigated. Weaknesses can be mitigated in the personal statement, addendum, or letters of reference. Your strengths. You need to become a self promoter without coming across as arrogant. You also need to prioritize your strengths as you will not likely be able to highlight all of them in adequate detail within your applications. Your story themes and "wow" factors. What are the most important points you need to make about your background, values, beliefs, and experiences? Have you adequately prioritized these points? If you attempt to convey too many different points, you risk coming across as unfocused. You also risk not covering any of your points in adequate detail to successfully distinguish your candidacy. Ask yourself what makes you unique in a way that is going to make any admissions officer just really want to recruit you to their school? Your fit. Why are you a match made in heaven for the specific school being targeted? Why will you be a better fit and contribute more to the program and community than the other applicants? Does your application convincingly argue that, if admitted, you will gladly attend the program? If you are a freshman, sophomore, or junior, now is a good time to take a critical inventory of your college candidacy. Will you clear the academic qualification hurdles at the schools you are targeting? Would you benefit from taking a summer enrichment program? Should you find some additional extracurricular activities to improve your candidacy? (Remember, though, that you want to avoid giving the admissions committees the impression that you only got involved in these activities for reasons of expediency).